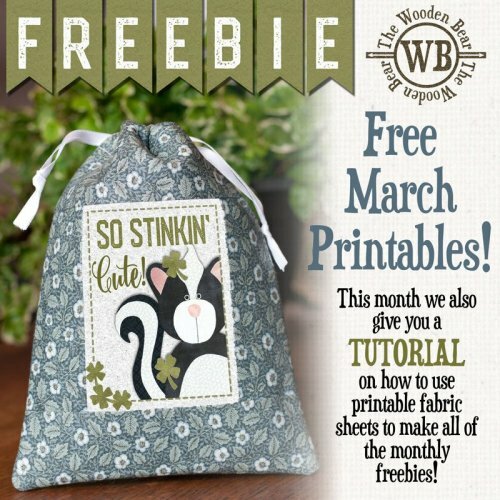 Don't forget to get our monthly freebies, plus our tutorial on how to use printable fabrics sheets! 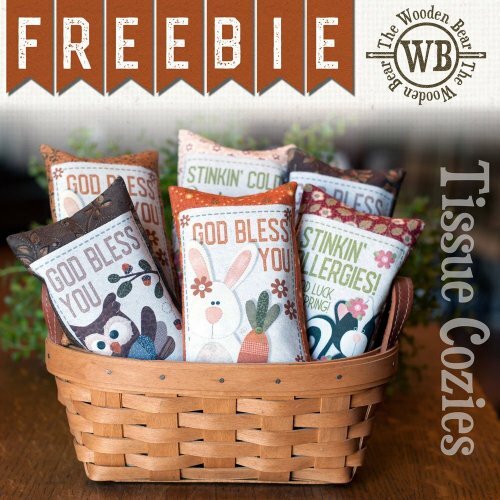 Be sure to come back each month as we hold another giveaway for that month's pattern! 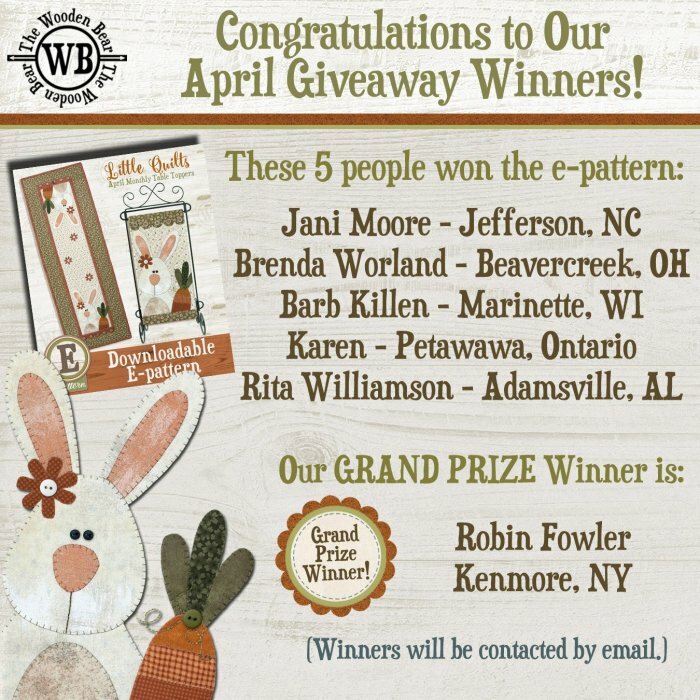 In May we'll be giving away the May Cattin' Around (shown below) e-pattern and another Grand Prize!